Building Bridges between Past and Future | Connecting Stories to History. For African Americans, our history has borne witness to our willingness to love at all costs. We have jumped the broom to love that has reached the stars and returned to earth, a place that can become heaven when we love with all our hearts. 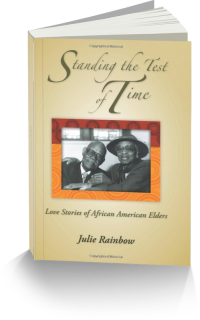 Stories like those told in the collection, Standing the Test of Time: Love Stories of African American Elders, by Julie Rainbow remind us that we are worthy of the rich and long-lasting love we seek if we are willing to engage ourselves fully in the process with God, our families and our communities by our side. Each of us, no matter the gender or ethnicity, seeks a love supreme, we merely need blueprints of how to construct its foundation. 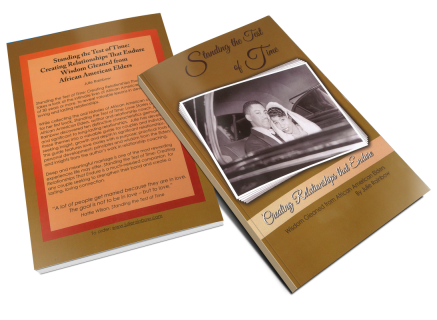 “Standing the Test of Time: Creating Relationships that Endure,” takes a look at the intimate lives of African American marriages of 30 years or more, to reveal valuable lessons in developing loving and lasting relationships. 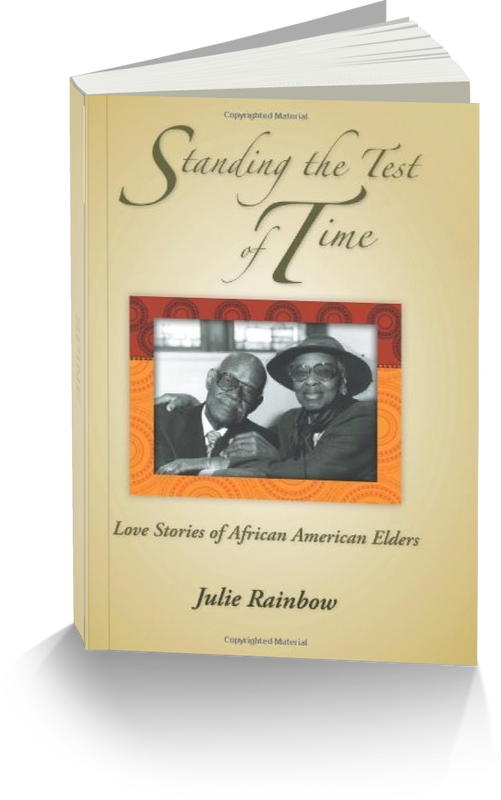 While collecting the oral histories of African American couples for her first book, “Standing the Test of Time: Love Stories of African American Elders, author Julie rainbow discovered ten distinctive characteristics to sustaining long-lasting relationship. Julie has developed these themes into a valuable guide for couples and individuals seeking insight, growth and depth. This guide features loves stories with a purpose. Deep and meaningful marriage is one of the most rewarding experiences life may offer. Standing the Test of Time: Creating Relationship That Endure” is a much-needed companion for any couple seeking to strengthen their bond and create a lasting, loving connection. ©2014 Julie Rainbow. All Rights Reserved.